The beach of Le Trez is the main beach of Bénodet, located in the heart of the seaside resort. 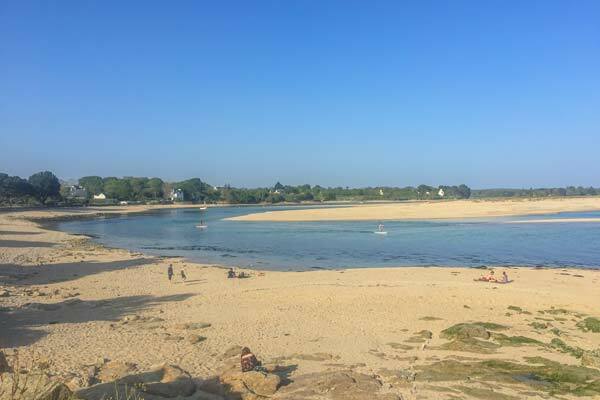 At the mouth of the Odet River, this sandy beach extends for nearly 600 metres in the cove of Bénodet. Bordered by the promenade des Corniches, with its benches on the hillside at the fort, its beach cabins (which you can rent at the town hall), its breweries, its esplanade (on the casino side), this beach has a swimming supervision station in July and August, showers to rinse off after leaving the water, WC, and is equipped to accommodate people with reduced mobility (provision of a tiralo to rescue workers). Many activities are available, such as the beach club for children from 4 to 14 years old and the rental of catamarans and windsurfing, in July and August. 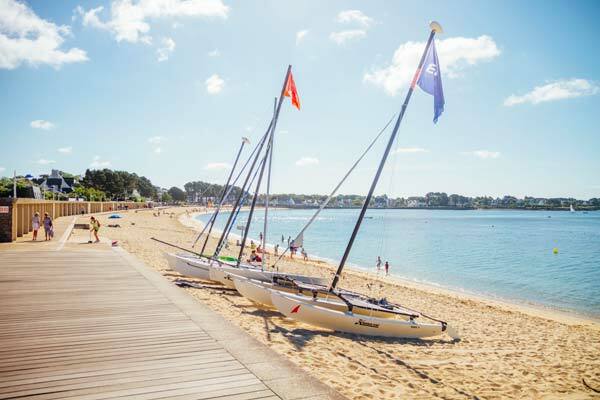 Just opposite l’Escale Saint-Gilles campsite, the beach of St Gilles is a fine sandy beach, lined with rocks, which is a delight for both children and adults. Kidscan discover the pleasure of fishing for shellfish, crabs and shrimp. Take the path along the beach to go either to Letty Beach and discover the White Sea, or after passing Pointe Saint-Gilles, head towards the centre of Bénodet, its large beach and its entertainment, while discovering the beauty of the coast and the bay, and admiring the boats and other sailboats that cross paths on its waters. 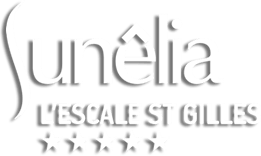 Close to the Saint-Gilles beach, you will find an orientation table to better locate the cut coasts of South Finistère. Le Coq beach is a small beach, close to the Phare du Coq, between the Odet river and the Atlantic Ocean. Ideally exposed to the late afternoon sun, you can take the sun in peace and quiet and taste its translucent waters. 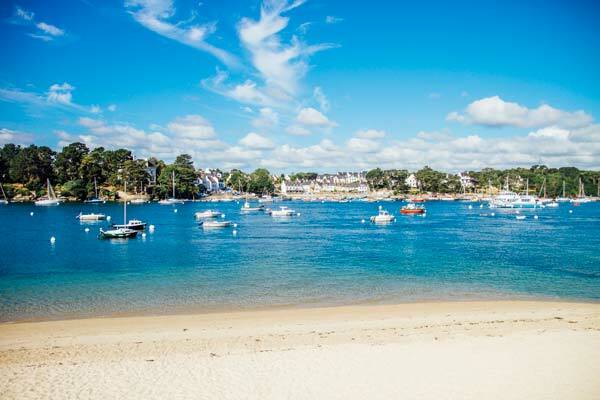 In front of this small beach of Bénodet, you will find Sainte-Marine (commune of Combrit) and its small marina, its restaurants, its chapel and its coastal path offering you magnificent views over Bénodet. A few metres to the right of the beach stands the old port of Bénodet where you can take the pedestrian ferry during the season to Sainte-Marine. Behind the beach, you can see one of the villas that are an integral part of Bénodet’s heritage “le Minaret” – with its oriental-inspired architecture. The Letty beach borders the lagoon of the White Sea, a kind of small inland sea in a protected natural environment, and faces the dunes up to the tip of Mousterlin, in Fouesnant. This naturally preserved lagoon presents an exceptional spectacle, varying according to the light and the tide, with its fine sandbanks and turquoise waters. Kitesurfers will be able to exercise their passion there. tempus Aenean ut mattis facilisis Aliquam libero.